The ink is fixed on the polyester fabric by sublimation at high temperatures. The combination of ink and machine technologies achieves cost-effective and eco-conscious direct sublimation printing. Sublimation transfer printing is also available on polyester fabrics with vivid and clear colors. Several black inks are offered to produce subtle differences in shades of black. 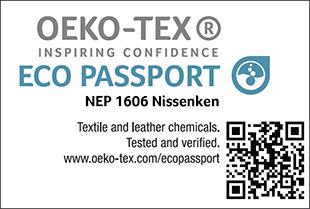 Mimaki has attained the "ECO PASSPORT" certification from OEKO-TEX® international association headquartered in Switzerland, via Nissenken Quality Evaluation Center, for its "Sb54/310/410/411/610/MLSb510" and "Sb320/420", sublimation inks. 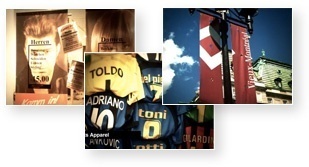 The combination of quick dry water based sublimation ink and Mimaki inkjet technology produces beautiful and high-quality vibrant color printing on the polyester fabrics and provides unlimited design potential for a wide range of applications for signage and apparel printing including flags, banners, sportswear, swimwear. 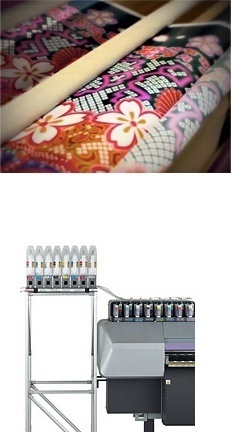 Mimaki’s unique direct printing system has brought a new generation of polyester sublimation printing to the textile print industry. This paperless direct sublimation transfer printing system optimizes excellent color reproducibility of the ink, reduces paper costs and wastage, and increases productivity. Sensitive and complicated colors, gradations, and white outlines are faithfully represented. We have developed a new ink formulation to meet the excellent taste of fashion designers. A variety of inks based on application are offered. 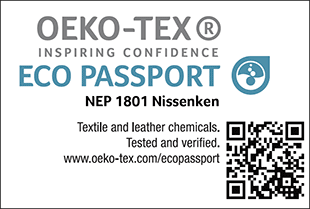 To meet users’ needs, we have taken countermeasures against typical problems experienced in printing on polyester fabric, such as ink bleeding, difficulties in feeding soft fabrics, ink drying times, and ink mist generation. A 2-liter ink bottle is offered for the large-sized printer. This enables users to handle large-volume orders more quickly and at lower cost. We have learned about fabric pretreatment methods and have obtained experience and knowledge for direct printing on various fabrics by trial and error. Depending on the needs of each user, we can provide appropriate technical know-how as well as recommend a suitable ink. Various ink types are provided for sublimation transfer printing. These inks have high color reproducibility, excellently reproduce designs with vibrant colors on polyester, and add value to uniforms, swimwear, and costumes. What is sublimation transfer printing? [Fluorescent color ] can realize the brilliant coloring. The fluorescent pink color and the fluorescent yellow color of Sb54, Sb410 and Sb610 are ready to distribute as the industry like the sports apparel is seeking such a vivid coloring. Mimaki introduces Color collections for textile printing "ARTISTA TEXTILE COLOR COLLECTION for Fluorescence"
The ECO PASSPORT by OEKO-TEX® is certified to Mimaki sublimation ink "Sb54/310/410/411/610/MLSb510" and "Sb320/420".